Based in Orange, the 103rd Air Control Squadron of the Air National Guard is one of the oldest of its kind. Known as “Yankee Watch,” the squadron has a rich history of service as a part of the 103rd Airlift Wing (known as the “Flying Yankees”) and dates back to the earliest days of military flight. Established in Rhode Island before moving to Hartford’s Brainard Field in 1923, the Flying Yankees saw action in France during World War I. 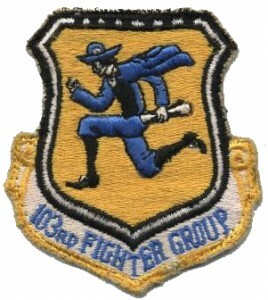 The 103rd also contributed in World War II by flying submarine patrols and fighter/bomber missions, as well as taking part in the General Claire Chennault’s legendary Flying Tiger squadron in the Pacific, before serving in the Korean War a decade later. Mindful of the 103rd’s reputation for active service during times of international conflict, President Kennedy called on Yankee Watch in 1961 to intervene in the Berlin crisis. Men from the areas surrounding Stratford, Bridgeport, New Haven, New London, and Hartford answered the call. Ordered to active duty on October 1st, the 103rd arrived in Germany on October 28, 1961, to protect the air corridor between Frankfurt and Berlin. They flew missions out of Rothwesten Air Base before returning home a year later and moving into their new base in Orange. The modern era witnessed Yankee Watch flying missions everywhere from the Caribbean to the Amazon Jungle in support of America’s war on drugs. They deployed to Italy throughout the 1990s in support of coalition forces in the Balkans and helped enforce the “no-fly zone” around Iraq just a few years later. In the wake of the attacks on September 11, 2001, Yankee Watch helped secure the skies over Long Island Sound and took part in the subsequent military operations in the Middle East. Today, the 103rd Air Control Squadron maintains its vigil over Long Island Sound and the surrounding area, as well as supporting US efforts overseas. Its primary mission is real-time detection and surveillance of air traffic for both combat operations and for the defense of American shores. Still partnered with the Flying Yankees, Yankee Watch continues the proud tradition of the 103rd Airlift Wing, acting as the embodiment of the Wing’s motto, Fidelis Et Alertus—Faithful and Alert. 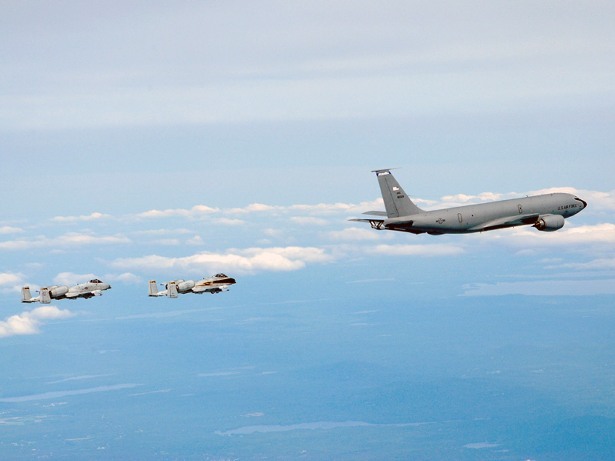 “103rd Airlift Wing.” Connecticut Air National Guard, 2013. Link. Jenson, Carl D. Flying Yankees, a History of the First Fifty Years of the Connecticut Air National Guard, 1973.